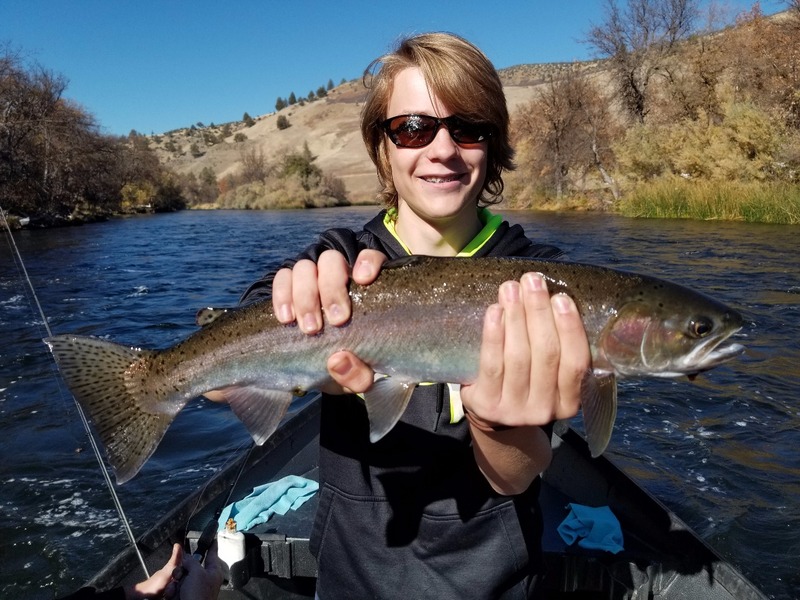 November on the Klamath - Fish On! 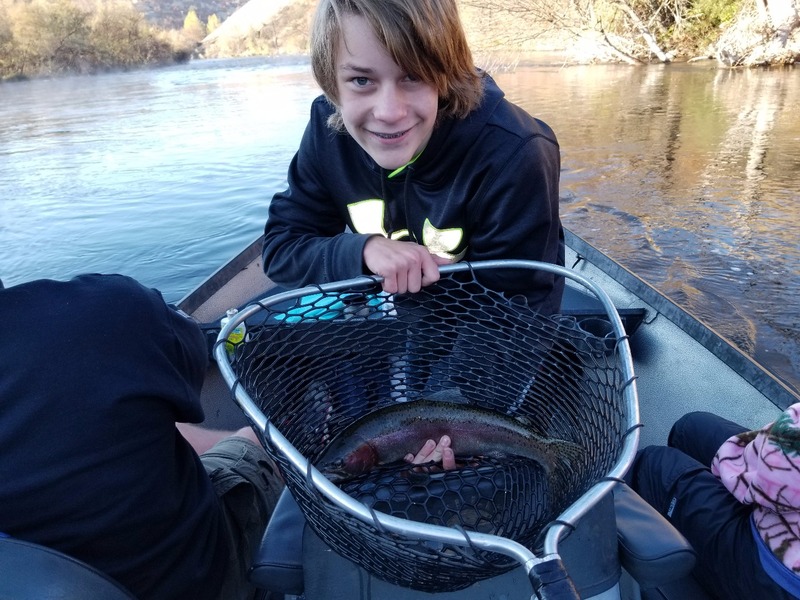 November on the Klamath river started off how October ended with a great bite and hard fighting fish. Margi and her son Miles and grandson Kaizer had steady action all day. We back trolled bait and plugs, casted, and fly fished under the indicator with all methods producing some action. The good old crawdad plug smothered in Pro-Cure Carpspit was the big fish producer on day. 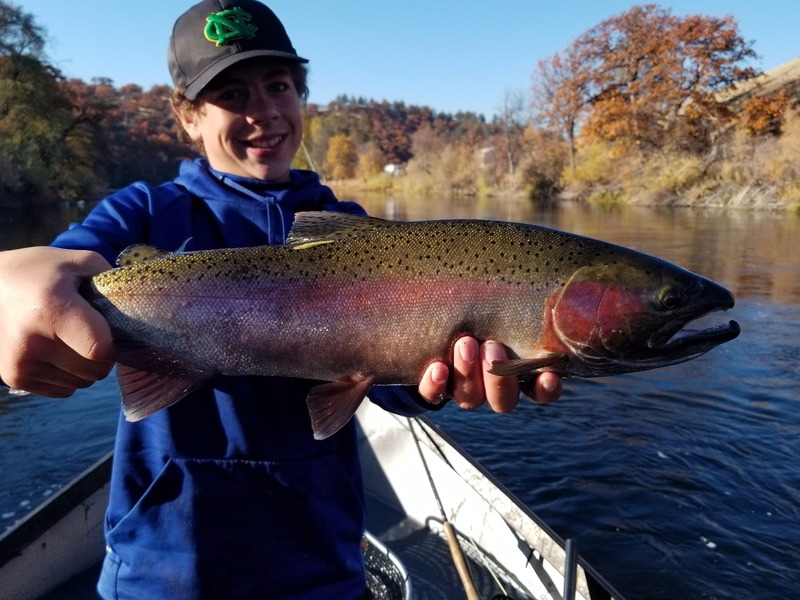 Steelhead in the 4 pound class were hungry for the crawdad, back trolling a whole garden tackle also was bug bite producer. 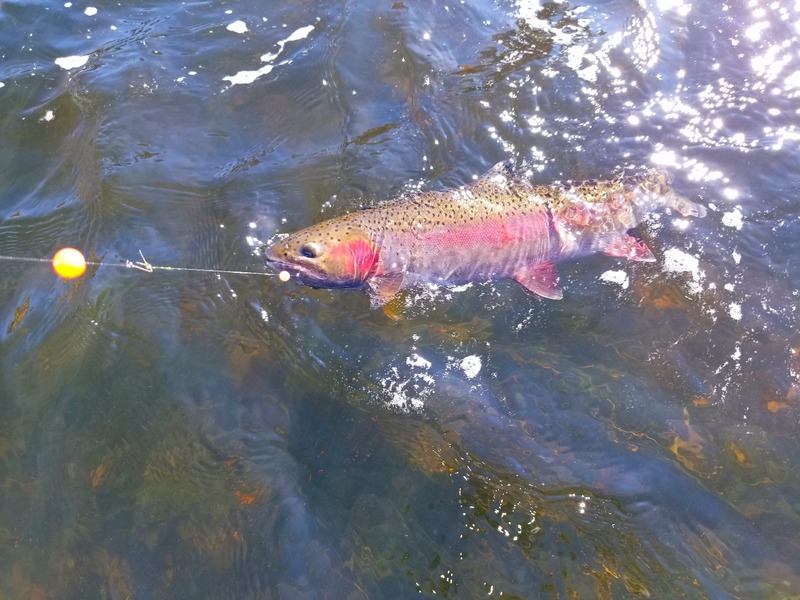 Steelhead fishing will continue all winter so there is a lot of time to get in on the fun. As for the weather winter will eventually take hold and the days will be colder wetter and less sunny. 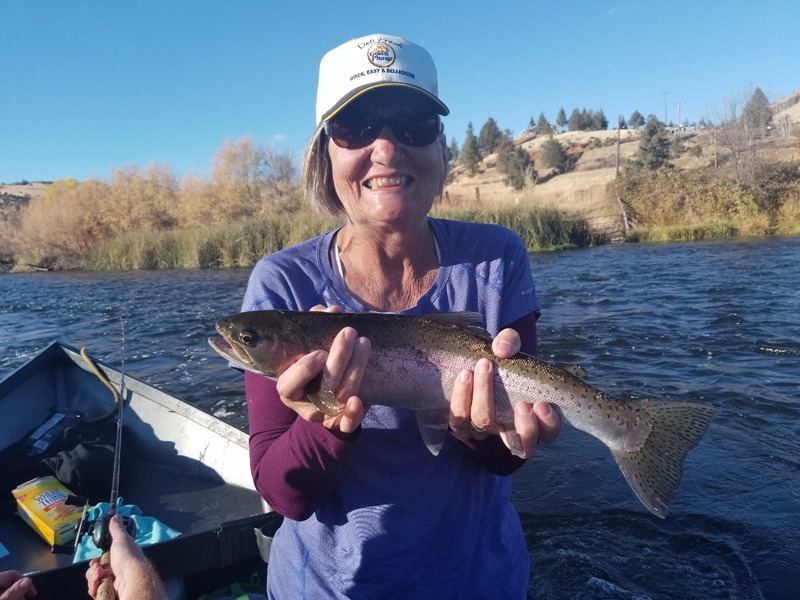 Don't let that stop you from enjoying a hot day on the Klamath. Give me a call 530 905 0758 or go online your and book your Winter Steelhead trip. 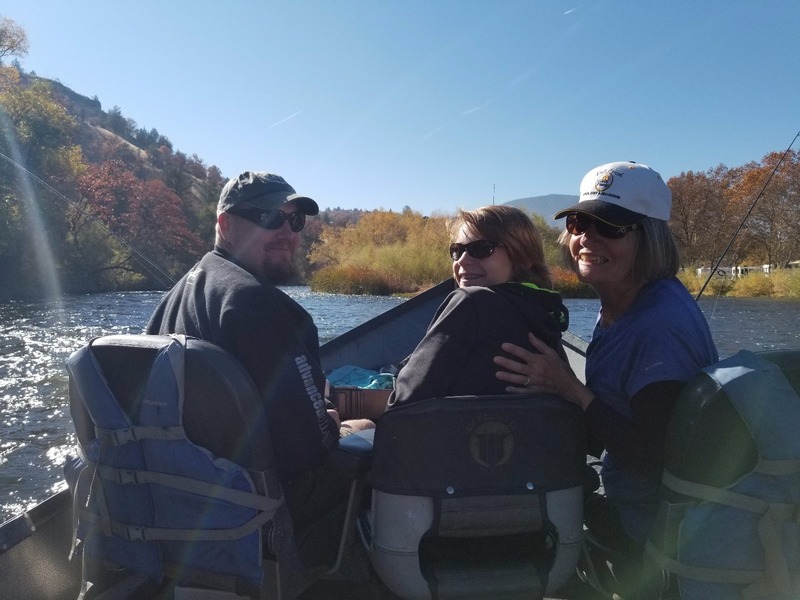 The holidays are coming and fishing trips make great presents.